It's the final days of Asian American and Pacific Islander Heritage Month, and I'm sneaking in this review just in time! This anthology has to be one of my favorites of all time. I've read several anthologies over the years, and I think this one is quite possibly one of the best that YA authors have to offer. I was introduced to many new Asian myths and legends, but also recognized some of the South Asian ones. I'm incredibly proud to see an anthology of Asian stories, written by Asian authors. This is the #ownvoices representation that YA - and lit in general - needs. I read the stories but I'm only going to highlight a few, which were my favorite. You won't need much convincing, trust me. All of these authors are true storytellers, with excellent writing. You'll recognize powerhouse names like Renée Ahdieh and Roshani Chokshi, and you'll see some "new" names, like Alyssa Wong and Preeti Chhibber. Regardless, these authors all have fantastic stories to tell. 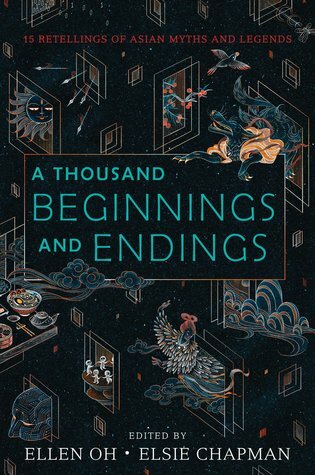 This anthology contains retellings of Asian myths and legends. It is structured such that the retelling is presented, and then in the page after the story's end, the author gives a little background information about the original legend(s). This was really cool, because I didn't know about most of the legends, and reading the retellings made me want to know more. Below are some of my favorites. Please note that all of these stories are worth reading. I just really want to gush about these in particular. If I discussed all of them, this would be a very long and boring review (if it isn't already!). This story is a loose retelling of the story of a Filipino goddess, Maria Makiling, who is associated with Mount Makiling. In this retelling, the Mountain falls in love with a human male, and loses her heart to him. It ends up being a tragic story, and in quite a heartbreaking way. I found the retelling absolutely fascinating, and the legend itself was quite intriguing as well. Roshani Chokshi has a way of weaving a story together. There was a quiet lull to this story, and then things escalated in the final pages. Amazing story, lush writing, fascinating legend. This story is based on the tale of Sahiba and Mirza, two star-crossed lovers. If there is one thing I know about Indian lore in general, it is the fascination with star-crossed lovers. You see it in old-school Bollywood movies all the time! (I say "old-school" and refer to basically anything pre-2010). The legend involves Sahiba who falls in love with Mirza, a famed archer, but she is to marry a stranger. On the night of her arranged wedding, she runs off with Mirza. But the tale doesn't end there, and I won't spoil it. The retelling is set in modern times, with Taara at a dance in the beginning of the story. Taara meets a boy who calls her Soni and claims to know her, but she has never seen him before. Still, something tugs her to him. This story ends like I expected - the twist is somewhat predictable especially if you're familiar with the culture or old tales. But I loved this story. There was something so familiar about it to me - both the original legend, and the retelling. It isn't specified, but I believe the original tale is Pakistani. The legend is the story of Anarkali, a courtesan for King Akbar of the Mughal Empire in the 1500s. The retelling is a little different from the original story - in that it binds together two potential versions of the original story. (The original legend is very old and there are several interpretations to the story.) This in itself was really cool. But in any case, I loved the retelling. The heroine is a courtesan to a prince, and the prince is so in love with her. But the courtesan knows that while she adores the prince, she does not love him, and her life is completely controlled by him, even if she is not a prisoner. One smile of hers breaks the illusion and she realizes just how little control of her life that she actually has. The ending of this story is actually really "happy" and I loved it. I was completely hooked on this story and I was rooting for one thing, but then I realized that I wanted the story to end differently. And it did. This was such a cool story and I love that the author chose to retell such an old one, and made it her own. This retelling was so cool. I feel like I've said that several times now, in this review. But it was! The retelling is the story of Charan and her young brother Chun. Charan and Chun visit the forest often, because they've seen goblins. They'd been doing this since they were children. They got older, and Charan is getting ready to leave her family to go to music school, even though she has caught the eye of a young man in the village, and the match would be advantageous for the family. Chun is not happy about this, because he thinks his sister is being selfish by not staying the village and going through with the match. One day, Charan falls through a hole and meets the goblins. They give her an enchanted club and two wishes. Chun, in a fit of jealousy, steals the club and goes to meet the goblins. All he wants is what is best for his family, unlike what he thinks his sister wants. But things do not end the way Chun wants them to. You'll have to read the story to see what happened. The original legend (a Korean fairy tale) is called The Goblin Treasure and it involved two brothers, one with a good soul and one with a disquiet soul. Anything with goblins is awesome to me, but Renée Ahdieh's retelling of the legend is especially riveting. This story had me going through a roller coaster of emotions. It is based on The Mahabharata, which is the longest epic poem in recorded history. One of the tales is that of Princess Savitri and Prince Satyavan, and this is where the author's retelling comes from. The retelling is slightly different from the original story. In the retelling Savitri saves Satyavan, a cursed so of Chandra, the lunar lord. But even though she saved him from death, Satyavan is on borrowed time. Still, Savitri brings him back and they get to know each other. But Satyavan remembers nothing of his near-death, or even his being a son of the lunar lord. He knows nothing but Savitri. What happens when his borrowed time is up? You'll have to read the story to find out. This was a heartbreaking and also very lovely story. And surprisingly, the ending was very positive. I love the themes that the author wove into the story. I also loved the romance. With short stories, oftentimes the romance is tragic or nonexistent. The romance in this story was lovely. Those were my favorite stories, but please, read the anthology in its entirety! I highly recommend this anthology, whether you read YA or not, whether you're Asian or not. Many of these tales read like fiction (not specifically YA fiction), so I'd encourage adult fiction readers to check out the book. There is a wide range of Asian representation - Punjabi, Filipino, Chinese, Hmong, Korean, Gujarati, Vietnamese, and more. My heart was so full, to see these authors and these cultures represented. But my heart was even more full when I read these stories and was swept away by the amazing tales and lovely storytelling. These authors wrote some quality stories. 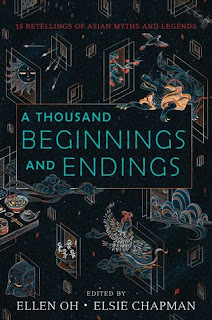 Don't just read this book because it's an Asian-written anthology of Asian stories (although, that's an excellent reason to read the anthology, don't get me wrong); read the book because the stories are incredible. 5 stars. My hat goes off to Ellen Oh and Elsie Chapman for putting together this project. And of course to the amazing authors who came up with these stories. A specific thing: I didn't grow up seeing many South Asian MG or YA stories in the library, and to see so many in this anthology was heartwarming. 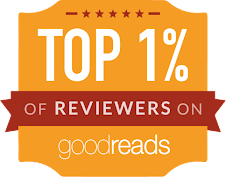 Thank you, authors. I am so little familiar with many Asian myths that I would read it for that alone, but it sounds like a good opportunity to get introduced to lots of writers. Enjoy the rest of your Memorial Day weekend. 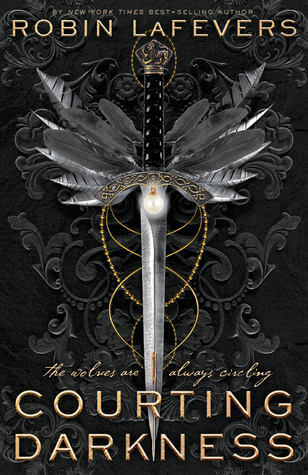 This sounds amazing, and look at that gorgeous cover! I regrettably know absolutely nothing about Asian myths so this sounds great, although I completely understand what you mean by don't read it just for that reason. Great review! This sounds like such a good anthology. I dont read many anthologies but this one sounds like its a great collection. Great review! This is going straight on my wishlist now. Sounds incredible! It's been too long since I read a good anthology. I don't think I'd heard of this one, so thanks for sharing! I love that there is finally starting to be more diversity in books. This anthology sounds amazing. I haven't heard of this anthology, but I will need to check it out. I am glad you enjoyed all of the stories Alyssa! 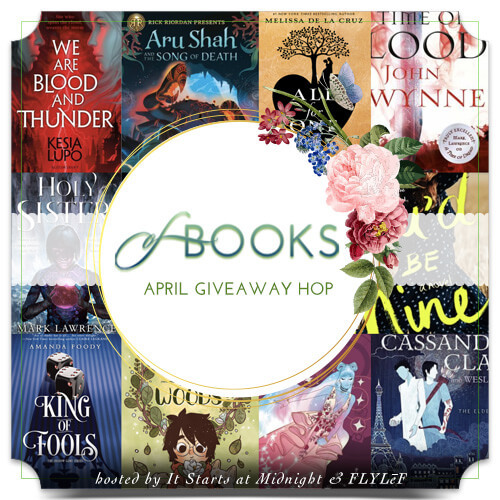 May 2018 New Release Giveaway!